As we strive for gender parity in every business sector — especially a start-up culture saddled with sexism — there’s no denying that fundraising is a universal challenge. The inaugural BE Conference tackled the quest for cash, in the conversation “Capital: Raise It, Manage It, Spend It” — which saw entrepreneurs and heavyweight VC (venture capital) investors weigh in. New York Presbyterian Hospital Chief Development Officer Sarah Avins moderated a conversation with Werk co-founders Annie Dean and Anna Auerbach, Halogen Ventures founder Jesse Draper and BBG Ventures president Susan Lyne. “There is nothing tougher than building a company to the point of being truly successful … if it looks like it was smooth sailing from the start, it wasn’t,” Lyne said. Watch the full conversation in the video above. 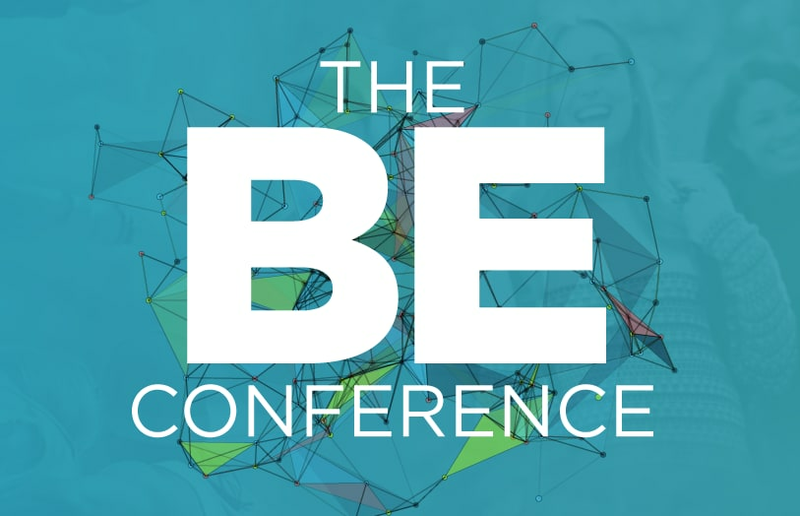 The BE is a special gathering of influential women in Media, Entertainment, Entrepreneurship and Technology. The two-day event offers networking, workshops, panels and mentor sessions with top industry executives, thought leaders and creatives in a first-class setting for networking, mentorship and ideas. 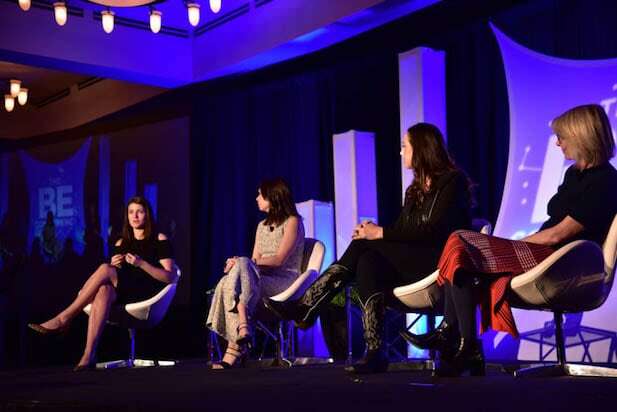 The BE is a joint creation of TheWrap and the Mom 2.0 Summit, and was hosted at Austin’s Omni Barton Creek Resort and Hotel in Texas. See the diverse, talented group of women and the various programs as they happen at the 2017 BE Conference. Kristen Bell (left) and TheWrap Founder and CEO Sharon Waxman kick off The BE Conference with a conversation about Entrepreneurship. Kristen Bell, star of "The Good Place," discussed her early Hollywood days and not fitting the mold of geek or girlfriend parts. Kristen Bell's social impact company This Bar Can Save Lives produces GMO-free meal replacement bars, and donates food to battle child hunger for every bar purchased. Bell is one of the voice leads of "Frozen," the juggernaut Walt Disney animated franchise. Sharon Waxman and "Chasing Coral" producer Larissa Rhodes kicked off The BE Conference will a discussion about the Netflix documentary acquired at Sundance. The BE Conference attendees applaud the night one program, a discussion about Netflix's "Chasing Coral." The Linkedin Lounge, designed to help attendees rock their professional profiles, at the 2017 BE Conference. A networking breakout session at The BE Conference. From left: Andrea Razzaghi, Deputy Director of Astrophysics at NASA; Mountaineer, Melissa Arnot; Cindy Whitehead, CEO, The Pink Ceiling and moderator Karen Walrond, from the panel "How I Broke the Mold: Charting an Unconventional Career Path" at the 2017 BE Conference. Paradigm agent Meghan Oliver, who specializes in content creators, hosts a mentorship breakout session at The BE Conference. Kristen Bell with Sharon Waxman at the BE Conference. Shannon Stubo, the CMO of LinkedIn, talks about career pivots at the BE. Soledad O'Brien discusses how activism has impacted her career. Singer and musician Madame Gandhi closes out the inaugural BE. Madame Gandhi is signed to Paradigm. Influential women in Media, Entertainment, Entrepreneurship and Technology will gather for VIP networking, workshops, panels and mentor sessions with top industry executives, thought leaders and creatives.